One year after a disappointing race finish, this runner returned to the course and is now sharing her story of triumph. 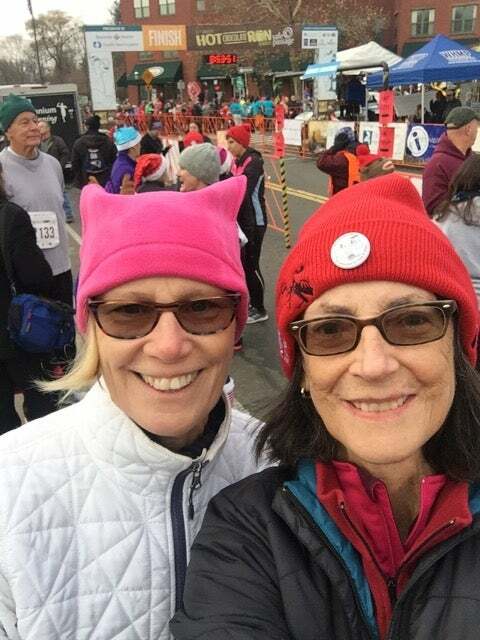 The author (right) with her friend Carol Constant at the Hot Chocolate Run for Safe Passage in Northampton, Mass. on December 3, 2017. When a friend asked me in December of 2016, to do a 5K to benefit an organization offering shelter and support to battered women, I said yes. It was “just” a 5K, and it was for a good cause. She said “running,” but clearly I was not doing it well, and she asked if I needed medical attention. I didn’t, but I needed to lean against a tree to straighten myself out. I felt even worse some three months later, when I finished last in a 10K that I had done many times before. Changes were in order before I ran another race. I figured it out for myself, but afterwards, I wondered what experts had to say about regrouping after a bad race. “Label the experience, not the person,” said Jasmin C. Hutchinson, a sports psychologist at Springfield College in Springfield, Mass. Some venting is understandable, but runners need to refocus after a bad race, said Ellen O’Neil, Smith College’s cross-country coach, co-director of the Gold Medal Running Camp and winner of six Ivy titles in track while a student at Dartmouth. Looking ahead, I acknowledged that I was a different kind of runner, for whom success meant something different, and more expansive, than when I was a comfortable 10K middle finisher who had easily done a half marathon. I also had to learn to cut myself some slack. Due to leukemia and plantar fasciitis, I hadn’t been running as much as when I wrote in The New York Times Magazine that running saved my life by leading to a leukemia diagnosis while I was still otherwise healthy. I had some good runs after a bone marrow transplant in 2003; then came two relapses and three more transplants. The last one, in 2009, had cured me, but side effects and the passage of time had slowed me down. Chemotherapy-induced peripheral neuropathy made it difficult to feel my feet. I realized that success could be enjoying the scenery, such as the sun dancing on the boats while I was running alongside the Hudson River on a recent visit to New York. It could also be feeling good enough to run more than you intended; for me it was 5 miles instead of the 3 I had set out to do on that day. I learned that I needed to get a little faster; finishing last was not the end of the world, but I wouldn’t want to do it again. So in the months preceding this past December’s Hot Chocolate Run, I did small intervals, speeding up between trees and other markers. I learned that I had to become more comfortable on hills, so I added inclines around the neighborhood instead of just going around the two lakes, a flat course, at the college across the street. On race day this past December, as a marching band played thousands of runners out onto the course, the energy put an extra bounce into my step. I resolved that instead of being distracted by the tingling in my feet, I would focus on the feeling of the ground. Trying on the advice that a father gave to his son–”You’re only racing against yourself”–I didn’t let my gaze linger on those going past me. The hills were okay, I finished standing up straight, and I was about five minutes faster (or more accurately, less slow) than I was the year before. I had fun going to the race with a friend and getting coffee afterwards. Back home, my dog needed walking and a friend wanted to go. Energized rather than tired, I ended up doing about 9 miles that day. Some 6,000 runners had participated, and the event raised $615,000. By all these measures, the race was a success. Ronni Gordon is a freelance writer based in Western Massachusetts. 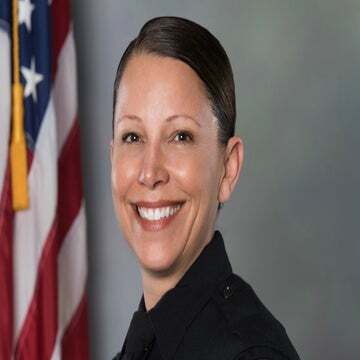 Her work has appeared in The New York Times, espnW.com, Vice, Forbes, Marie Claire and many others. Follow her on Twitter @ronni_gordon. What Happens If You Finish A Race In Last Place?